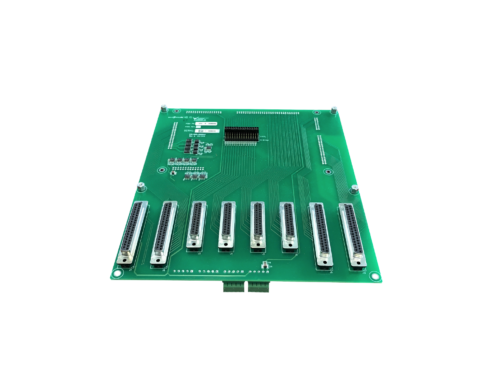 The Viewpoint Systems Miniscale Inverter board is a 3-Phase inverter board with an NI 9683/9684 mating footprint (intended for use with the NI sbRIO 9607 + NI 9683/9684 combo (not included) or with the NI cRIO-9039 + VSI-T-000050 combo (not included)). This board gives full accessibility to the GPIO of the main FPGA controller via wire-poke terminals. The design for this device is provided as open source by National Instruments. See the description for link. 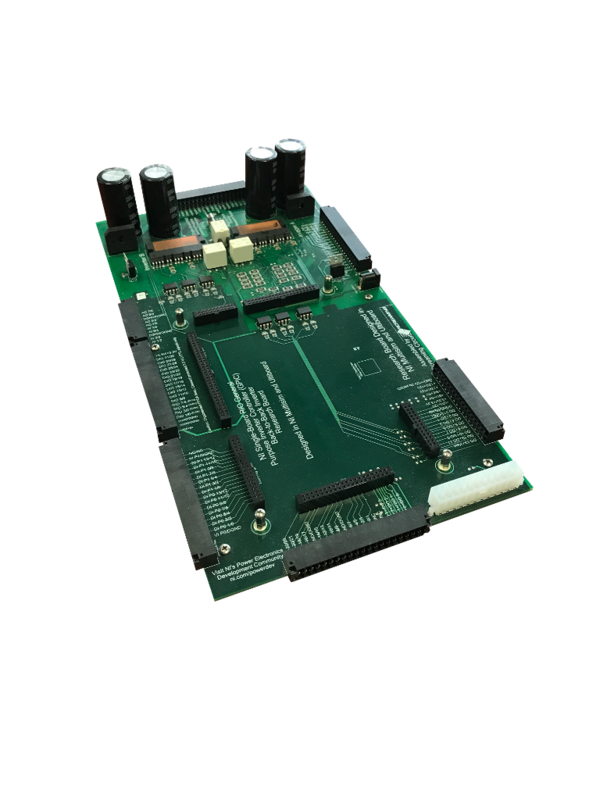 This board is able to handle low voltage, low power rectification or inverting (max 10A/phase). 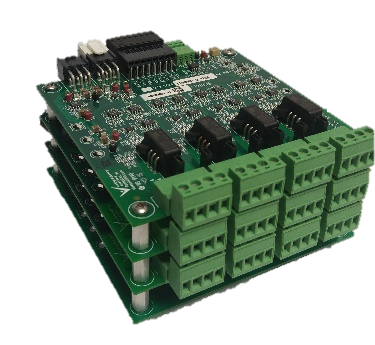 Low power DC to DC, DC to AC, AC 3-phase motors and PMDC motors can be powered with this and controlled with the onboard FPGA. See http://forums.ni.com/t5/Power-Electronics-Development/GPIC-Power-Converter-Control-Development-System-Mini-Scale/gpm-p/3425680#M373 for additional info.